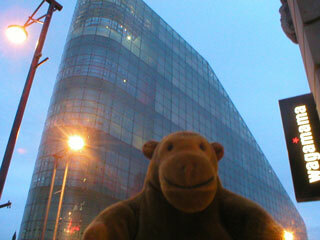 "It's a really interesting building, you know"
When he'd finished looking at the exhibition, Mr Monkey left Urbis. Because his humans hadn't had any food for a while, he scampered across the road and let them eat noodles at Wagamama. 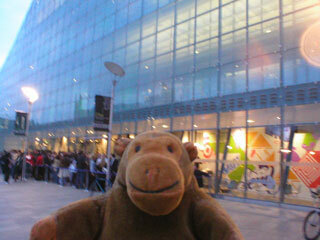 Then they all walked back to Piccadilly station and caught the last train home.